Timberline WoodFloors was established in the Flathead Valley in NW Montana in 1994. Established by Glen Vogt, the company has dedicated itself to beautifying wood floors throughout the Flathead Valley. 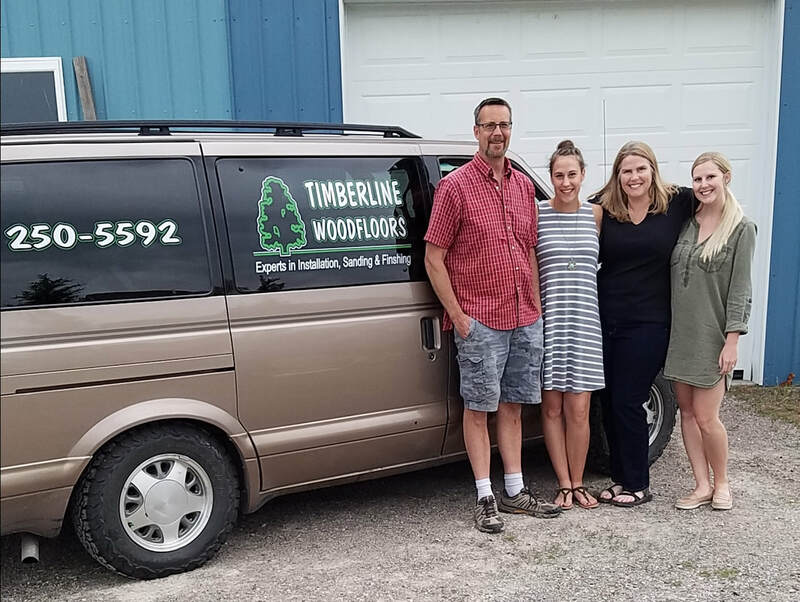 Throughout the years, Timberline WoodFloors has been the trusted contractor for homeowners wanting to improve the value and beauty of their homes as well as builders in the Flathead Valley including Kalispell, Bigfork, Whitefish, Polson, Lakeside and surrounding areas. Their flooring has been featured in many of the annual Parade of Home entries. They take pride in the fact that many of their customers come by referral from past customers and Realtors in the area. Installation of new or replaced flooring. You can supply your own wood or we can measure, advise and order flooring for you from one of our excellent suppliers. Finishing. If you have installed your own flooring, we can sand, stain and finish in expert fashion. Or, we can do the whole job for you with installation, sanding and finishing. Refinishing. We can assess the viability of your existing wood floors to see if they can be refinished and restored to their original beauty. Buff and Re-coat. If your wood floors just need a new coat of finish, this is a great way to revitalize and protect your floors. Repairs. If you've had damage, we can offer an assessment of what can be done to refinish, repair or replace damaged areas.